Australia has welcomed the move, which follows the February 2017 deal Prime Ministers Turnbull and Joko Widodo struck to each reduce tariffs on a key commodity as a mark of progress towards the Indonesia-Australia Comprehensive Economic Partnership Agreement (IA-CEPA) currently under negotiation. Australian Agriculture Minister Barnaby Joyce said the reduction in tariffs would increase the competiveness of Australian sugar exports into the important Indonesian market. "Indonesia will lower the tariff on our sugar exports to the same concessional rate enjoyed by Thailand - around 5% currently - which will level the playing field for our exporters," Joyce said. 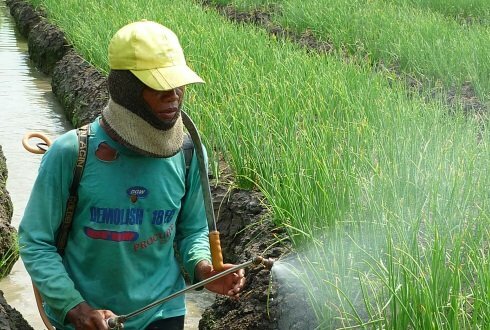 In exchange for the sugar deal Australia will eliminate import duties on Indonesian herbicides and pesticides. The estimated value of Australian sugar exports to the world was $2.2 billion in 2016-17 and the total agricultural, food, fishery and forestry exports to Indonesia were worth $3.2 billion in 2016, and imports from Indonesia were worth $843 million.